The judge said there were "difficulties," but did not offer further information. A court spokesperson later confirmed the cancellation was due to a sick juror. Court was scheduled to resume Tuesday. Monday would have marked the fifth day of the defense phase in the case. Last week, defense attorneys spent four days calling more than a dozen witnesses as they argued the Chicago teen posed a threat in the moments before he was shot 16 times by Van Dyke in 2014. Among the witnesses called was a retired CPD weapons instructor, who testified that officers are trained to shoot "until the threat is eliminated" when"reasonable and necessary." Nicholas Pappas told a jury "there's no telling how many rounds it could take to do that." But prosecutors pressed Pappas on whether such a shooting should be classified as "reasonable or necessary." It remains unclear if Van Dyke himself will take the stand. 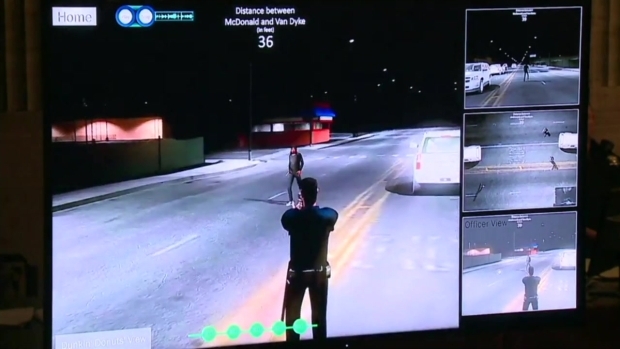 On Tuesday, jurors were shown a recreation of the fatal shooting from the officer's perspective that was based on laser analysis of the scene and looked like it was taken straight from a video game. According to defense attorneys, the video showed that McDonald was closing the distance between himself and Van Dyke before the officer opened fire. Prosecutors have argued dashcam video shows McDonald appearing to walk away as Van Dyke shot the teen 16 times on Oct. 20. 2014. So far in the trial, the jury saw dashcam video of the shooting, graphic autopsy images of the more than a dozen gunshot wounds on the body of McDonald, the recreated video of the shooting and video showing 16 gunshots fired in under 14 seconds. 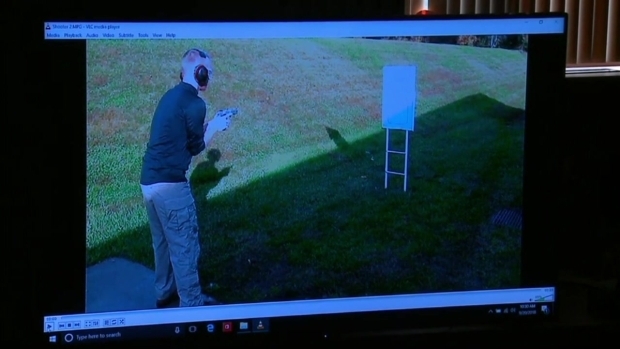 They have also heard testimony from several Chicago police officers and witnesses at the scene, seen the weapon Van Dyke used, and watched as FBI specialists demonstrated the shooting. 9:52 a.m.: Court spokesperson confirms a sick juror led to today’s cancellation of testimony at Jason Van Dyke trial. 9:30 a.m.: BREAKING: No testimony in Jason Van Dyke trial today. After a short recess, Judge Gaughan only said there were some difficulties and court will resume tomorrow.